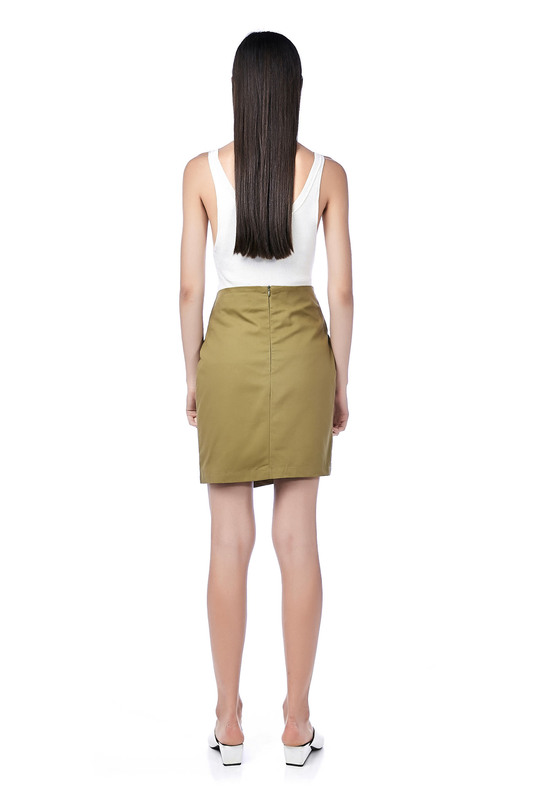 This short skirt is made from smooth polyester. It is high-waisted with a set of diagonal decorative buttons, made in a fitted silhouette. Zip closure on the back. HIPS 33" 34" 35" 37"